April 25 marks the first anniversary and Summits of My Life has set up a very special activity to pay homage to the people of Nepal on social network. 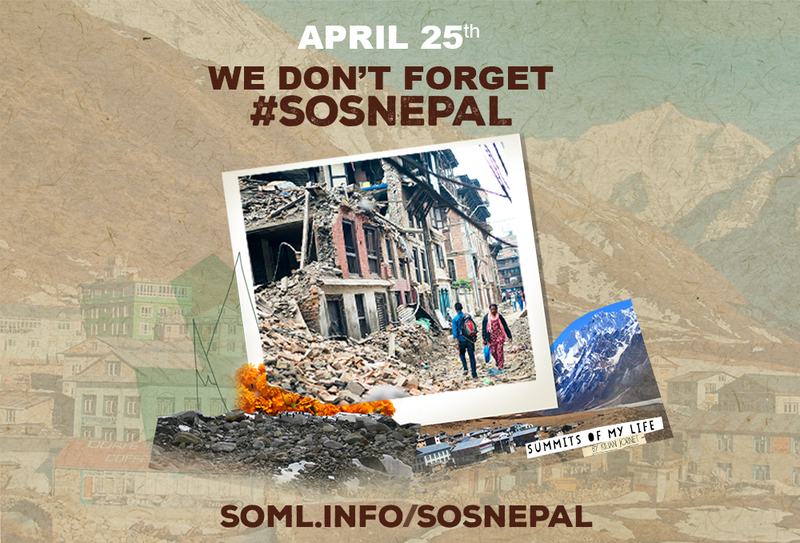 The aim is to remind everyone that Nepal still needs our help to rebuild itself. We want you to become the voice of our project! 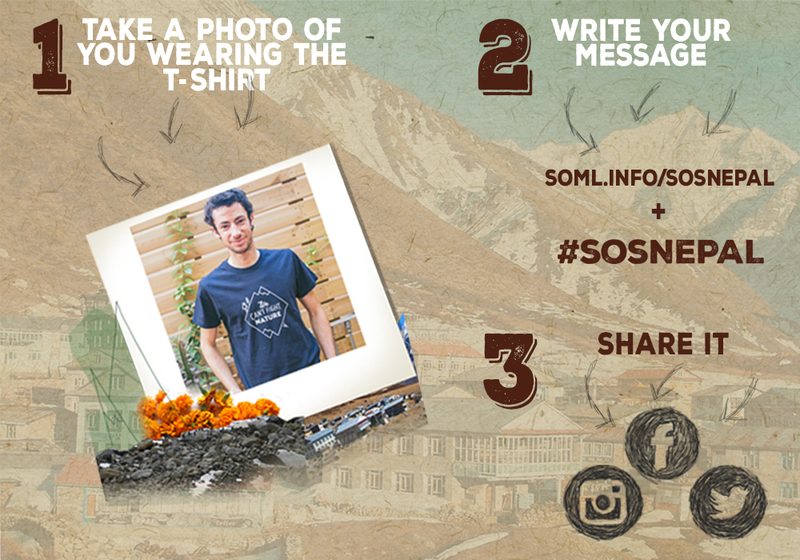 If you don’t have a T-shirt, you can share this image on your social networks! Will you help? Share the project on your social networks. If we all take part we can reach many people. 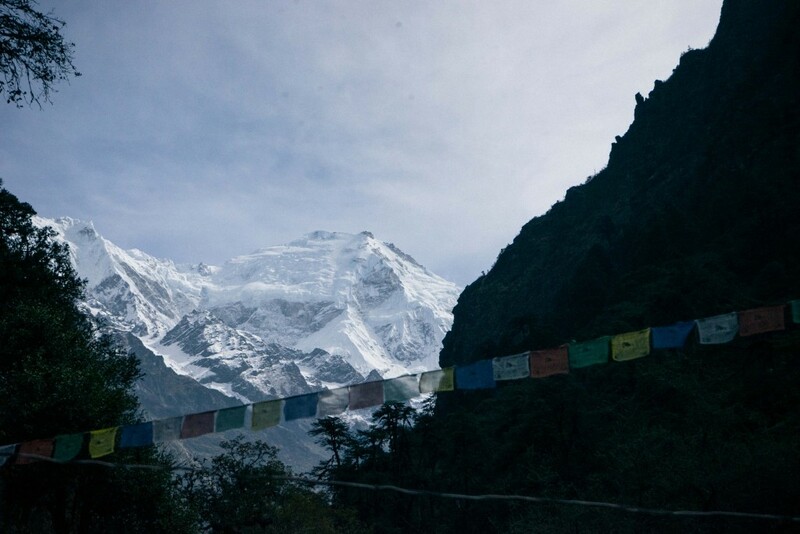 After the weekend’s devastating earthquake in Nepal, we have decided to modify our plans regarding the expedition that we had planned to Everest. Today, we will travel to Kathmandu, and we expect to be there tomorrow. However, we will not follow the scheduled planning. We wish to cooperate, as far as possible, in providing our help to those in need in the mountains and in remote areas. Nepal is a country that we carry in our hearts and this is why we have decided to carry on with the trip. We give condolences to all the people affected by the earthquake and send support to those in the mountains faced with enormous adversity at this time. Kilian Jornet and the Summits of My Life team. 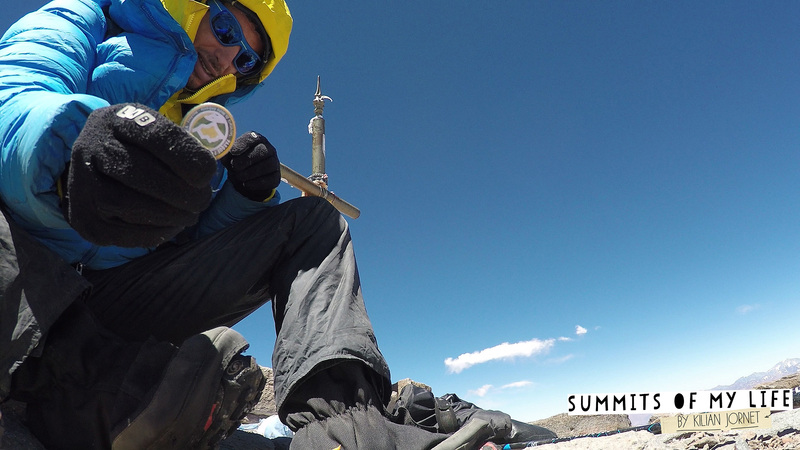 Kilian Jornet sets a new ascent-descent record on Aconcagua (6.962m) as part of his project Summits of My Life. Jornet set a time of 12h49′ following the usual route, with start and finish in Horcones. FR_ Record au McKinley ! Kilian Jornet réalise le record du McKinley (6 194 m) en 11 heures et 48 minutes. La conquête du sommet le plus haut d’Amérique du Nord sur la route de Rescue Gully est également le sixième à figurer dans le projet Summits of My Life. « Ce fut une grande aventure. Le temps a été mauvais pendant une bonne partie du voyage mais malgré tout, je suis parvenu à battre le record. Je suis donc très satisfait. J’ai emprunté un itinéraire différent pour éviter une section de cordes fixes, je veux conserver les valeurs du projet en essayant d’utiliser le minimum de matériel et sans avoir recours à une assistance quelconque ».